The Skyrim 1.4 patch is now available to download from steam. The patch provides massive improvements to both speed and performance. In fact, it's so good that it's better than the SkyBoost mod. 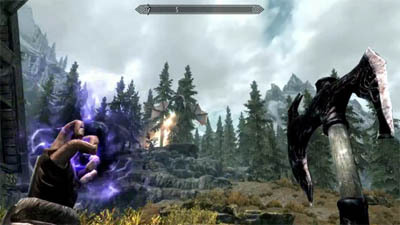 If you've been playing Skyrim constantly (and let's face it, who hasn't?) then you will have noticed the large number of quirky problems. Quests not starting properly or being completely unavailable. Large file sizes for saved games and computer characters getting stuck in corners. Thankfully, Bethesda have addressed most of our concerns with a huge 1.4 patch for Skyrim. Expect those annoying crashes to stop and those unplayable quests ready to go. You're also going to see faster frame rates around 16 fps. No more slow city scenes or painful fighting action. How to get the patch? Currently, you can only get hold of the patch if you've opted into Steams beta functionality. Once out of the beta, the 1.4 patch will be available to everyone. Remember that Beta's are called beta for a reason. Not everything in this patch will have been fully tested and you might encounter new issues. 7. Steam now restarts and Skyrim will be using the Beta version. It doesn't look like the Creation Kit or mod management are live yet but they should be soon.